Asrai.org • View topic - Treekin models? Is there any substitue models for the gw ones? any suggestions on how to convert? Here's a pic of my Treekin models. Basically made from Green Stuff, wire and Dryad parts, in a similar manner to Raindog's Treekin models (the last link of Ryikko's post ). I've also seen people use the old metal dryads and convert those into treekin. I will not yield to evil, unless she's cute. Now there is a proper Treekin. I think that model seen above is more pricey than normal treekin. Is it so? I thought that the dude who started this topic wanted cheap treekins! You could not get this model alone, it was in the box with ork hero, so I got it cheap from my friend. There are some photo's in this thread. I must be one of the weird ones but I actually like the TK models. I have a smaller model for my treeman so smaller/thin TK make my Treeman look not so tiny. I wish I had more converting and GS skills all these conversion pics make me jealous. Some pics about my Treekin and a dryad. Try Oak Warriors from the old MageKnight range of minis. They are about $.50 on ebay and they are the softer plastic that doesn't melt when you heat-gun it. Try em! They are kroot heads from the 40k line (Tau army). Here is a so so shot of the treekin I converted a couple of years ago. Very similar to the one you asked about. Marshal Torrick wrote: Try Oak Warriors from the old MageKnight range of minis. They are about $.50 on ebay and they are the softer plastic that doesn't melt when you heat-gun it. Try em! Good call Marshal. I just picked up two off ebay for 3.24, including shipping. I'll take that anyday over a $20 dollar GW treekin. Thanks for the tip. 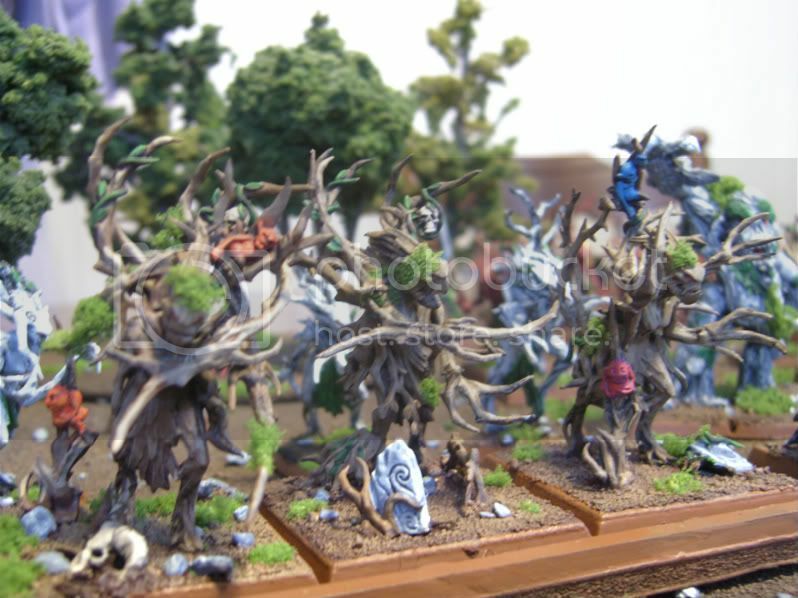 Wow, for the price, those are fantastic Treekin models. I just ordered 16 cast resin 40mm bases and 16 Oak Warrior models, and after shipping the grand total came to under $30! I'm psyched, thanks for the tip! "It's such a deceptive army. They look like a bunch of twigs and pansies, but my goodness they're TOUGH!" i know a guy whos making both tree-men and tree-kin from the GW woods set. How big is the Oak warriore compairt to dryads ? Mivari wrote: How big is the Oak warrior compared to dryads ? I'd like to know this as well...I have a bunch on order, so I'll be sure to take some pics next week for comparison if nobody else can answer this question. One question. Size of GW Treekin compared to old(5th edition) treeman model? (the lowest one from the blister packs). Also anyone could compare the size of a new treeman with a old one? 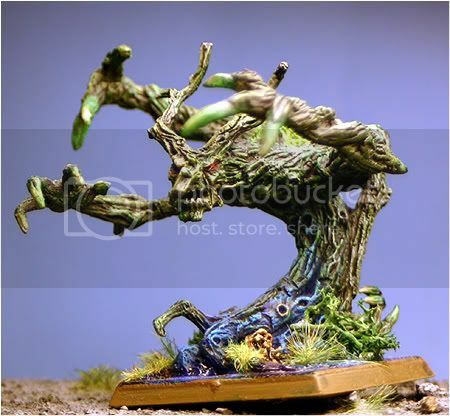 Just ordered two GW Treekin to combine with the old treeman for a unit of 3. with the old Treeman to be the elder.